Thinking about adding a new furry friend to your family? Here are a few things to think about. All our animals are up to date on shots, altered (spayed/neutered,) and ready for their 'furever' home. So what exactly does this mean? Cats: Locally it averages about $115 to have a cat altered (prices vary vet to vet, and depend if it is a neuter or spay, but we will use this as a low end average.) Then you have vaccinations and tests such as rabies and FeLv/FIV combo test, which run about $60. We will just use these as the base to keep it simple, but there could definitely be more. Add all these costs up, and you get $175.00 as a low average. How much are RCHS's cat adoption fees? All cats are $75, unless we are running a special (which would be even less!) That is a minimum of a $100 in savings, and.....you are giving a homeless pet a home. What a great deal. Dogs: Locally it averages about $150 to have a dog altered (prices vary vet to vet, and depend if it is a neuter or a spay and then the size of the dog, but we will use as a low end average.) Then you have vaccinations and tests such as rabies, heart-worm test, and micro-chipping, which run about $90. Again, we will just use these as the base to keep it simple, but there could definitely be more. Add all these costs up, and you get $240.00 as a low average. How much are RCHS's dog adoption fees? $125 to $150 depending on the age and type. That is a minimum of $90-$115 in savings, and....again you are giving a homeless pet a home. It is a win, win. Thinking about adding a furry member to your family, but don't believe our numbers? We encourage you to call around for pricing. We are certain you will find that our adoption fees are very fair. RCHS has lots of happy, healthy animals waiting for you to take them home. Not only do we get the animals necessary medical care, but we also screen them for specific temperaments and behaviors to make sure the animal is a good fit for your family and lifestyle. It is a common misconception that animals are up for adoption because they have been abused or something is wrong with them. In fact, most animals are surrendered to RCHS because of "people reasons," not because there is something wrong with the animal. This would be things like divorce, a move, deployment, loss of income, and lack time. These are the most common reasons pets lose their homes. By adopting instead of buying a pet, you can take pride in knowing that you aren't supporting cruel puppy mills or breeders with your money. All the animals at RCHS are loved and cared for by individuals in foster homes licensed by the State of Kansas. As long as people continue to purchase their dogs from puppy mills, they will continue to operate. Instead of buying your next pet, checkout petfinder.com. Odds are you will find dozens of healthy, well-socialized dogs (including purebreds,) just waiting for a home. The euthanasia rate in the United States is between 3 and 4 million dogs and cats each year. Too many people give them up, and too few adopt from rescues. Also, too many don't spay or neuter their pets. Because space is limited at rescues and shelters, some are left with the very difficult decision to euthanize animals who have not been adopted out. RCHS is a no kill rescue for adoptable animals, but when our foster homes are full we have to turn away pets in need. You can help the number of animals euthanized each year by adopting pets instead of buying. When you adopt from a rescue or shelter, you help save the lives of two animals....the one you are adopting and the homeless pet who can be rescued because of the space you helped free. 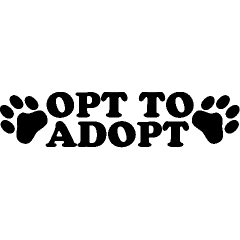 Opt to adopt instead of shop!